Selecting wedding vendors is one of the most important decisions that couples make when planning their wedding. Your vendors are people you need to trust and have a good relationship with since they play such a critical role in making your dream wedding into a reality. 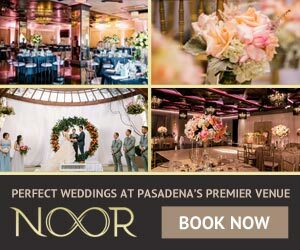 So this week we met with Vrej Sarkissian, CEO of L.A. Banquets and Anoush Catering, and we asked him what were his tips on how couples should select their wedding vendors. Below are a few of his tips on how to build a great relationship with your vendors - before, during, and after the wedding! ● Narrow the field. Ask recently married couples about the vendors they chose, and didn’t choose. View online portfolios, to make sure the vendor’s style matches your vision! ● Meet in person (or Skype) and ask questions. A face-to-face interview ensures that you don’t have clashing expectations or personalities. You’ll also gain a better overview of how the vendor operates and how excited the vendor will be to work with your wedding. ...and you must work towards making the partnership successful. Take care of your vendors, so they can take care of your wedding on the day of the event. ● Keep your vendors well fed and hydrated and ask about specific food limitations. 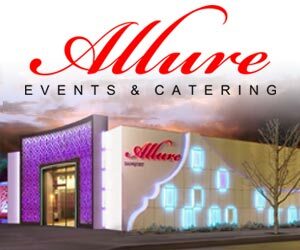 Provide a hot meal during your reception and plenty of refreshments throughout the day. ● Your vendors will need some downtime, so provide comfortable, private seating. Discuss the day’s schedule to select appropriate rest times. You wouldn’t want your photographer to miss your first dance! While relationships with your vendors have a defined end date, don’t make it an ugly break-up. ● If payment is due the day of the event, avoid unnecessary headaches by designating someone in your bridal party or family to handle it. And let the vendor know who you’ve chosen. ● Get back in touch. When you’re sending off thank you cards, drop a few notes to your vendors thanking them for everything. Thank you Vrej for taking the time to share these great tips! We 100% agree that having a good relationship with your wedding vendors will either make or break your wedding, so make sure you take the time to meet, interview and connect with your vendors to ensure a smooth and spectacular wedding!